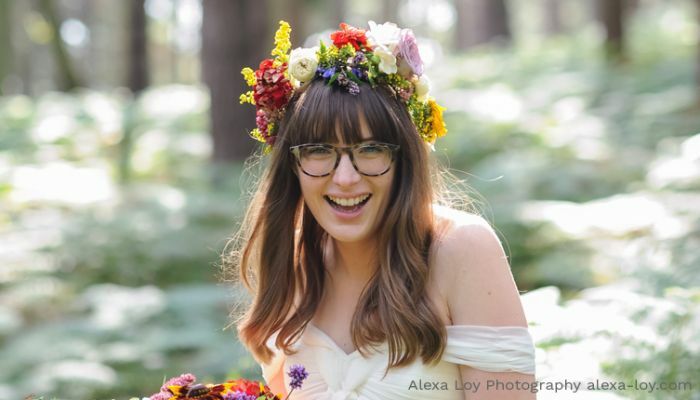 Louise Baltruschat Hollis is the face behind Whimsical Wonderland Weddings, which has once again been named in the Top 10 UK Wedding Blogs. Covering DIY tips, inspirational editorials and real-life wedding stories, Whimsical Wonderland Weddings has been a key part of the wedding blogosphere since it was created in 2010. We caught up with Louise to find out why any time of year is perfect to get married, the importance of going with your gut and working on creative with PRs and brands. Social media has always been crucial to our blog. In the beginning it was all about Twitter before moving onto Facebook, then Pinterest and now Instagram. Instagram and Pinterest are definitely where we see the most engagement and both platforms bring something totally unique. When’s the best time of year to get married? I think any time of the year can be perfect to get married. Each season brings something different, from festive cosy winter weddings to fresh bright spring weddings and golden light filled autumn weddings. Summer is always popular for weddings in the UK, with longer days and hopefully more sunshine. It really depends on what makes your heart sing. Where’s the best wedding location in the UK today? I love that more and more couples are thinking outside of the box when it comes to wedding venues. We have featured more and more couples trying the knot in a legal ceremony beforehand, leaving them free to have a ceremony or blessing wherever they wish. I myself did this and got married in the woods, so I am a little bias towards woodland weddings. What advice would you give people planning their wedding? Go with your gut, always. I think it’s really important to sit down together and really work out what is important to the both of you and include your personalities as much as possible. Don’t be afraid to ditch any traditions that don’t work for you too. Wedding themes: yes or no? Wedding themes can be so fun. We’ve featured lots of different wedding themes over the years, although we have also featured more and more weddings without any theme. Matchy matchy colour themes seem to have been less popular with our readers in recent years and we’ve seen more mix and match styles, which always works wonderfully. The UK Bloggers Survey revealed that bloggers post less frequently, is this your experience? I have reduced our blogging schedule slightly over the years. So I really focus on quality content rather than quantity. Saying that, we still blog at least once each and every day. We receive many PR releases. Some are more targeted to our readership than others. If I think our brands are well aligned I will reach out to see if the brand would like to work together. I only work with brands which totally capture my attention, in terms of product and service. I will also take time to look at their reviews as we only work with brands with the highest quality and a top notch reputation. It’s important I love the product or service on offer so that it is a genuine and authentic recommendation. I think my favourite collaborations have been with brands we have worked really closely with to create a wide-ranging campaign. With imagery and styling by me, and blog and social media coverage too. I read a wide range of blogs, at the moment I am into interiors as we are renovating our home. Roses and Rolltops has been a long term fave of mine.